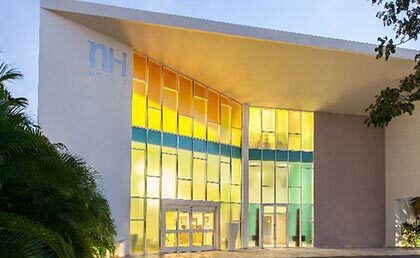 The NH Punta Cana Hotel is an elegant and modern hotel of the highest level, located just ten minutes walk from Playa Bávaro, at the Eastern tip of the Dominican Republic,oneeof the most beautiful beaches of the Dominican Republic. 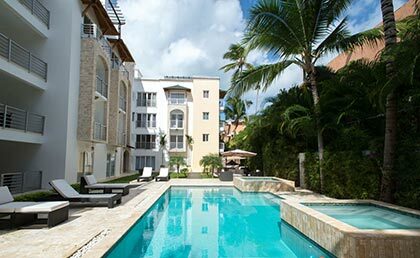 It is very well located in a luxury shopping complex, with many bars and restaurants a few steps from the hotel. It has a personalized service to all visitors, whether they travel for business or if they come on vacation to Punta Cana.of the most beautiful beaches of the Dominican Republic. It is very well located in a luxury shopping complex, with many bars and restaurants a few steps from the hotel. 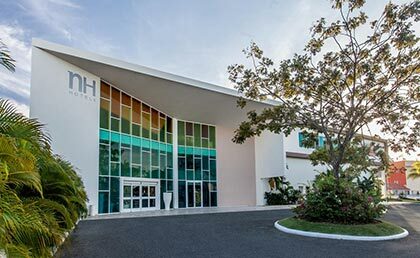 It has a personalized service to all visitors, whether they travel for business or if they come on vacation to Punta Cana. The Nocturno Restaurant specializes in Italian gourmet cuisine under the supervision of a top-level Italian chef. Do not forget to try the homemade pasta, nor do you miss our impressive breakfast buffet with pastries, different kinds of bread, seasonal fruit or eggs cooked to your liking. We also have a very elegant bar area and a wonderful terrace-dining room overlooking the garden. Fresh products prepared every morning, the hotel breakfast buffet ensures you start the day in a healthy and balanced way. The breakfast buffet includes a wide variety of natural juices, pastries, cold cuts, cheeses, fruit, yogurt, breads and much more. You can also order hot dishes to your liking. If you are one of those who like to get up early or you must leave before the buffet is open, ask at reception for the possibility of breakfast for early risers. The NH Apetit restaurant offers an elegant and modern dining room with space for 100 guests and a magnificent view. Regain energy with a rich, freshly prepared breakfast buffet. Dinners and lunches are relaxing events for you to enjoy a delicious combination of Dominican and international dishes, where each dish is composed of an exceptional blend of flavor and style. Take advantage of the room service to enjoy snacks and drinks 24 hours a day. The elegant bar is located inside the restaurant. It is a cozy and comfortable space, and has an excellent selection of wines and cocktails, among which we recommend the NH Mango cocktail. When the weather is nice, our terrace overlooking the garden is the ideal place to sit and drink something quietly. And if you're hungry, you can order whatever you want from our restaurant's menu. 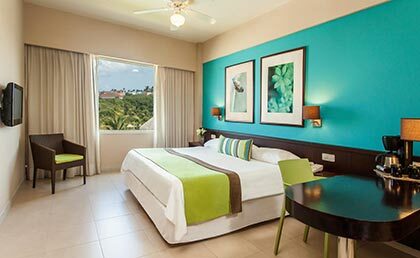 The NH Punta Cana hotel Punta Cana has 66 rooms are spacious and bright, decorated in cool and modern tones. All of them have a luxurious king bed and windows that isolate the noise so you can sleep peacefully. 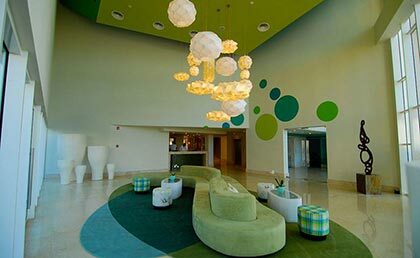 They also have other modern amenities such as air conditioning, satellite TV and free Wi-Fi. overlooking the garden is a picturesque place to enjoy a cocktail in the afternoon or a romantic dinner. 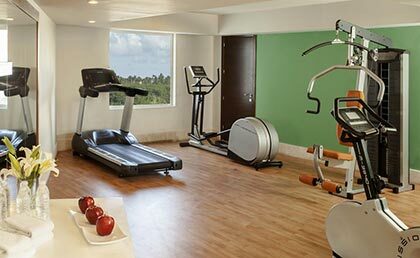 And, if you want to keep fit during your vacation, our gym is at your disposal 24 hours a day. It is equipped with a great selection of exercise equipment and satellite television. Things to do in Punta Cana?